ChildCare Education Institute (CCEI) coursework is provided through CCEI’s trainer, Laura Anderson Hamilton who is approved by Louisiana Pathways as a Trainer III in the following subject areas: Health and safety; Professionalism; Observing and Recording Children’s Behavior; Child Development; Children with Special Needs; and Children with Hearing Impairment. ChildCare Education Institute (CCEI) coursework is provided through CCEI’s trainer, Laura Anderson Hamilton who is approved by Louisiana Pathways Child Care Development System as a Trainer III in the following subject areas: Health and safety; Professionalism; Observing and Recording Children’s Behavior; Child Development; Children with Special Needs; and Children with Hearing Impairment. Through this approval, CCEI training is accepted by the Louisiana Department of Social Services, Child Care Licensing Division to meet annual licensing training requirements. 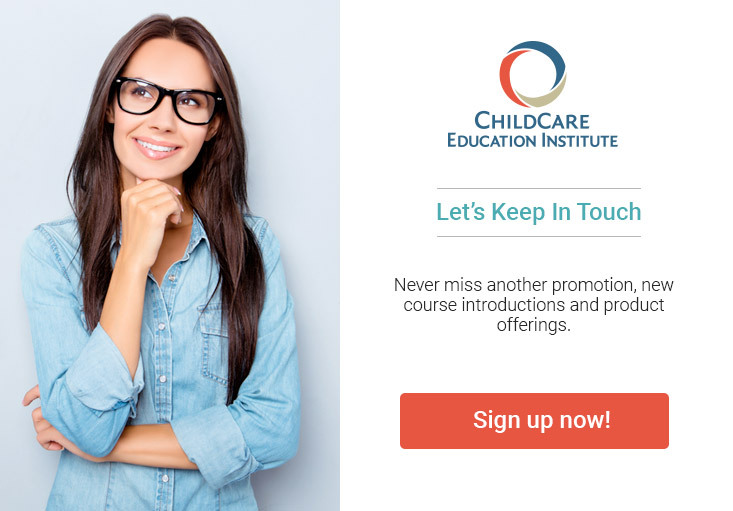 As an approved training provider, CCEI’s training may be used to advance individuals to the next level of recognition on the Career Development Tracks and Tools Ladder for the Classroom Track, Family Child Care Track, and Administrative Track.